Those of you who enjoy cooking should be familiar saffron. It is a vibrant colored spice that is commonly used for its unique taste to season foods. The health benefits of saffron are vast and in recent years it has been found that saffron is an effective appetite suppressant that curbs cravings and helps you maintain a healthy body weight. 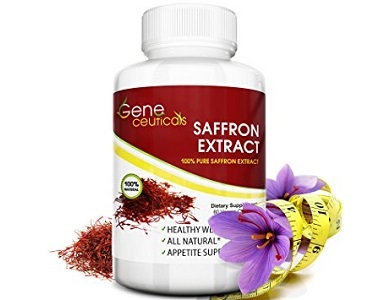 Geneceuticals Saffron Extract is a dietary supplement that has claimed to use the purest form of saffron to help you lose weight by curbing cravings that are triggered by emotional eating. 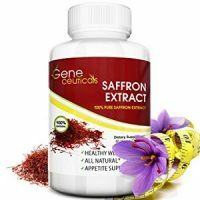 In this review of Geneceuticals Saffron Extract, we are going to take a closer look at the ingredients, dosage and customer reviews to see if this company stays true to its word. What’s in Geneceuticals Saffron Extract? 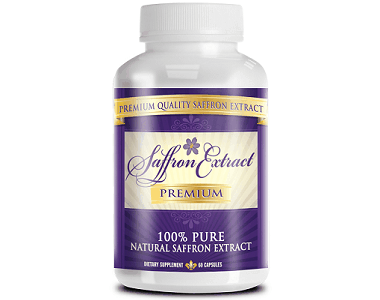 Pure Saffron Extract 88.25 mg – binge eating and cravings have been associated with low serotonin levels, Saffron helps to increase these levels which helps you to control the emotions behind binge eating. The purity of this saffron extract is questionable as the manufacturer has included binders and fillers such as MCC, Magnesium Stearate and Silica. These binders and fillers have been proven to decrease the potency, quality, and purity of saffron extract. How Do You Use Geneceuticals Saffron Extract? One capsule should be taken per day and should be ingested 30 minutes before meals. This dosage is fairly lower than the dose used by leading saffron brands. The effective dose of saffron should be 200 mg daily. This product may not be as potent as one may expect and the low dosage may hinder results. Geneceuticals Saffron Extract is available for purchase online through third-party distributors and retails for $13.97. There is an additional 5% discount coupon off this purchase but it is only valid for a limited time only. Fortunately, Geneceuticals offers a 90-day money back guarantee without any excuses or fine print. There is no information regarding the condition the product must be returned in and if this applies to bottles that have already been used. There are good qualities about this product such as the price and money back guarantee, however, the formula itself is questionable. Geneceuticals proudly claims that it uses 100% pure saffron but the supplement fact list says something different. The additional and binders that have been used may have compromised the quality of the extract and the low dosage recommended by this product is not potent enough to provide effective results. At the beginning of this review, we mentioned that saffron is a vibrant color, testimonials from end users have expressed that the powder within these capsules is white and that the product does not taste like saffron at all. Many stated that they have wasted their money on this product because of the contents they found inside each capsule. Based on this information and the formula we believe that this product does not use 100% pure saffron and may not be sufficient enough to provide any results of weight loss.